As a youngster I had a big “Explorers’ Map of the World” on my bedroom wall, with the routes taken by the great explorers traced out in different colours across land and sea. It was also bordered by small pictures of Peary, Scott, Amundsen… and one that caught the eye ahead of all the others: Ernest Shackleton. Square-jawed, purposeful, authoritative. Even the name had a solid, reassuring ring to it and I have always been happy to claim that this native Irishman was the greatest Antarctic explorer of them all. 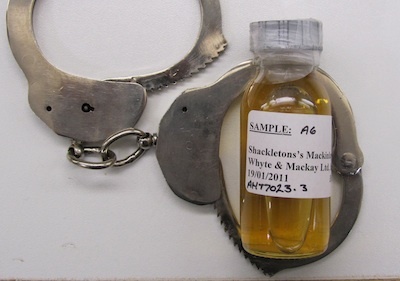 The original ‘Shackleton’ whisky - in handcuffs for safe-keeping. His name lives on and is now commemorated in the limited edition ‘Mackinlay’s Rare Old Highland Malt Whisky’, behind which lies a tale that must be a marketing man’s dream. 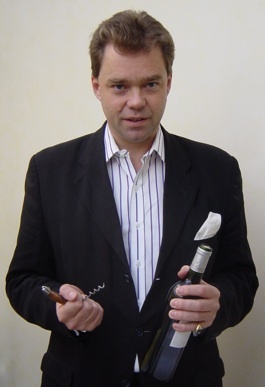 In 2006 three cases of Mackinlay’s were found under a hut abandoned by Shackleton in 1909 and from them three bottles were carefully extracted and taken to Whyte & Mackay in Scotland, now the owners of the Mackinlay name. There, Richard Paterson, master blender (and a great tale teller) removed a tiny sample of the whisky and has now ‘recreated’ the old blend, a bottle of which can be yours for about £100 in duty free. 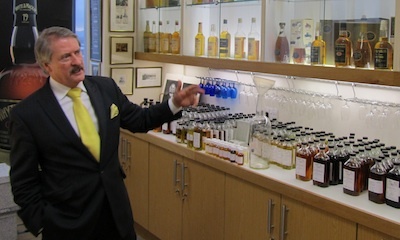 Richard Paterson in his blending room. The result shows the work of a dextrous hand in the blending room and Paterson has created a whisky of real character and identity, without resorting to stonking flavours to make an impression. The colour is pale straw and the nose is elegant and fruity with just a touch of smoke. It’s delicate on the palate but this is no shrinking violet (it has been bottled at 47.3% alcohol) and you can dig around in the flavour to discover extra layers and nuances. 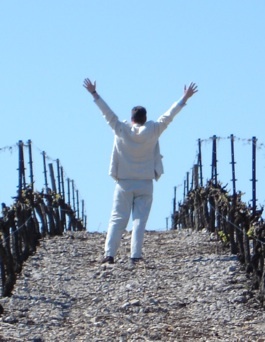 Above all, the key is balance and harmony leading to a very satisfying finish.